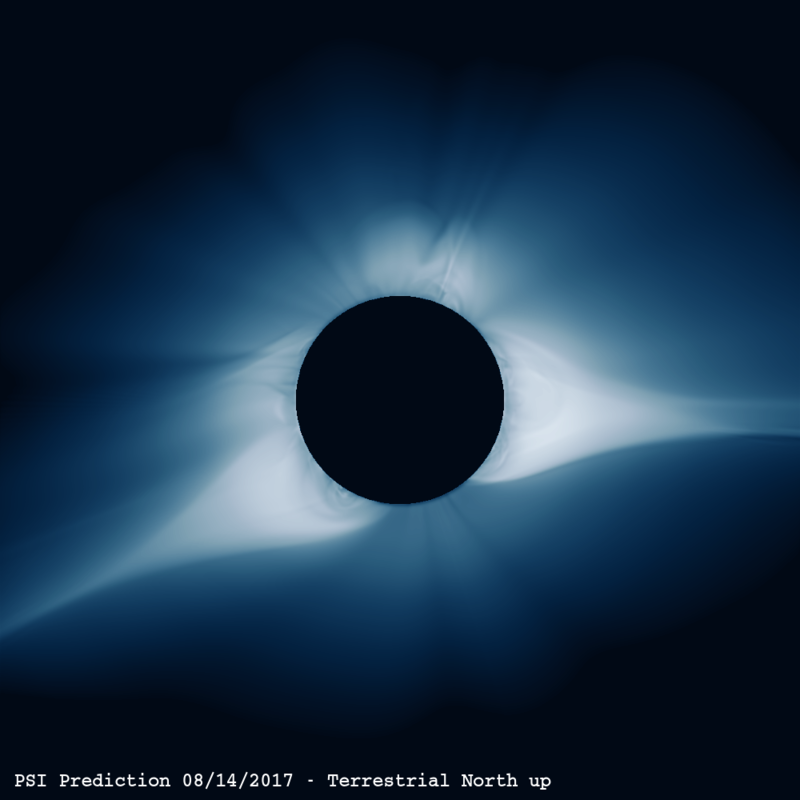 Here we present several enhancements to our basic prediction for the structure of the solar corona during the solar eclipse. 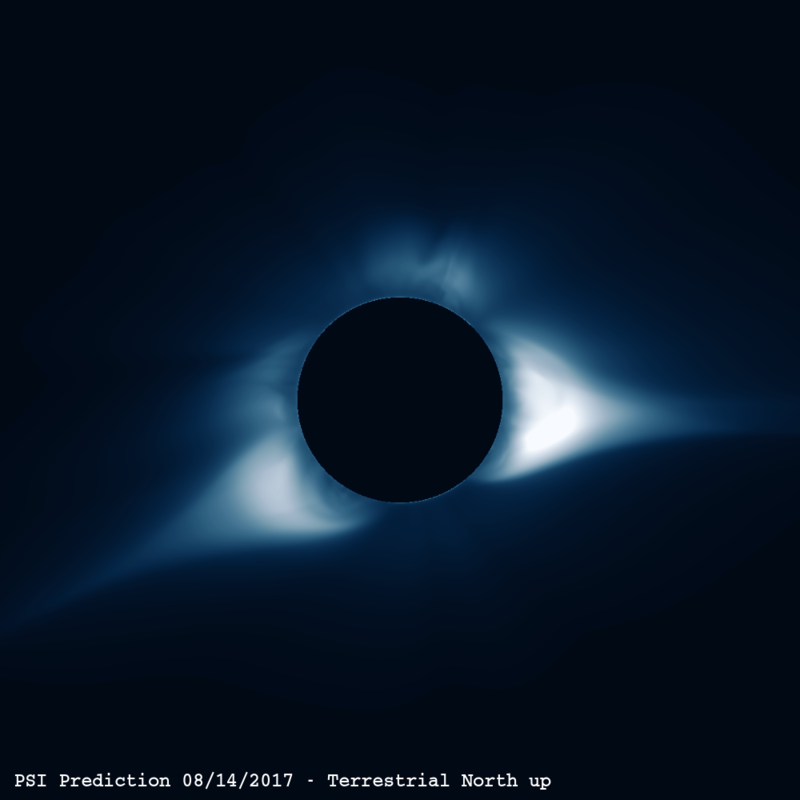 The first image/movie on the left shows the brightness of polarized white light in the corona, processed with a Newkirk radial filter. 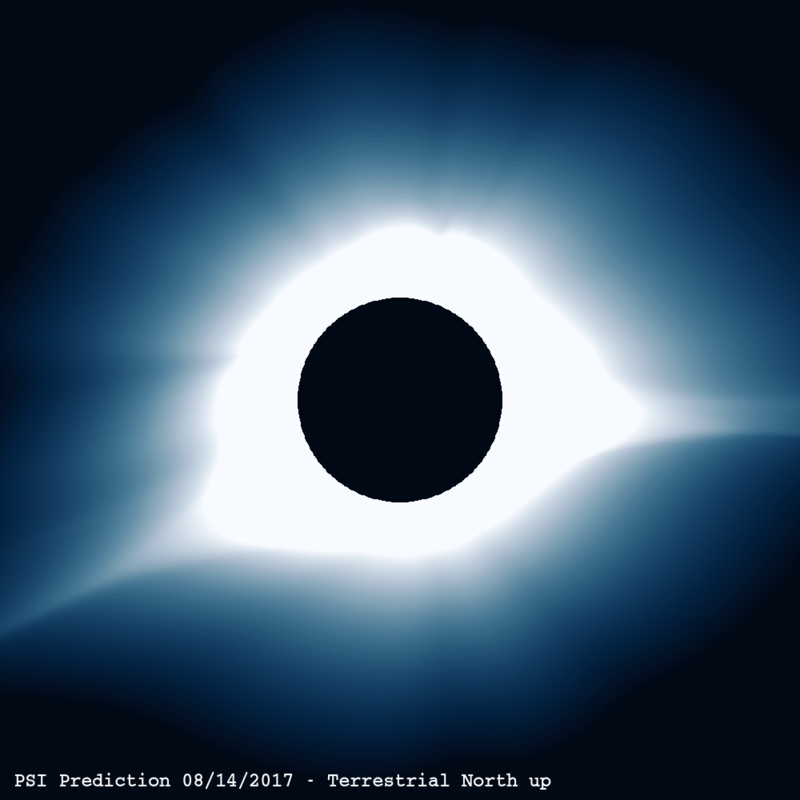 This is a rough attempt at approximating what the human eye might see during the solar eclipse. The middle column shows a digital processing of these images to bring out certain features: The combination of log-scaling and unsharp masking brightens faint features while enhancing edges. On the right, a wavelet high pass filter sharpens fine scale features throughout the corona, showing streamer edges, bright loops, and non-radial features. 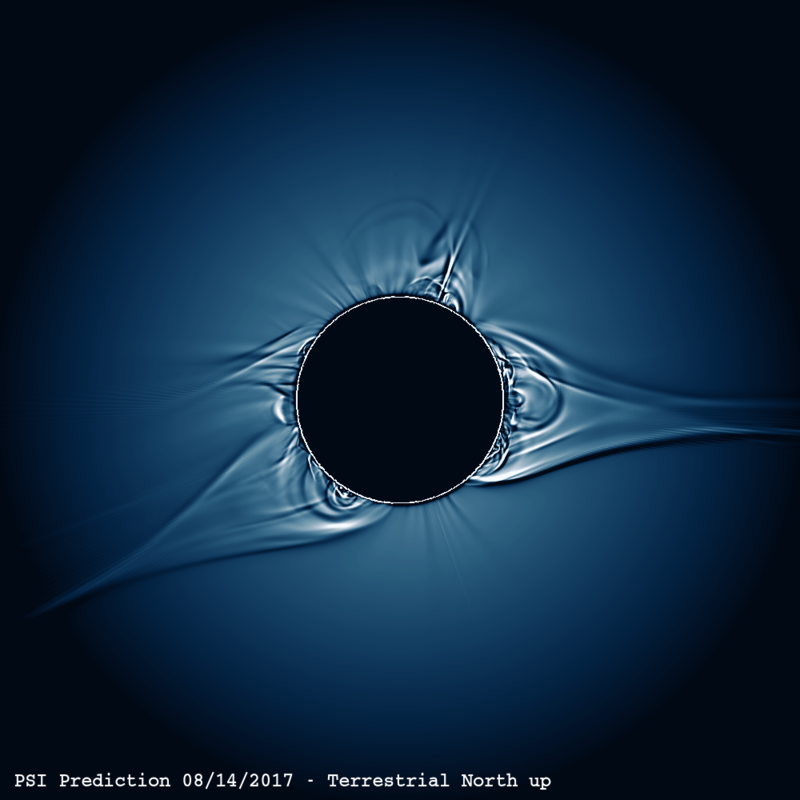 Although the original images seem quite diffuse, these enhancements bring out the underlying complexity of the plasma and magnetic field distribution in the model. Scientific versions of these images, and the unprocessed (raw) data are provided below in FITS format. The FITS header have the typical metadata used in solar imaging measurements. Page designed and created by Allie Riley. Copyright © 2019 Predictive Science, Inc. All rights reserved.